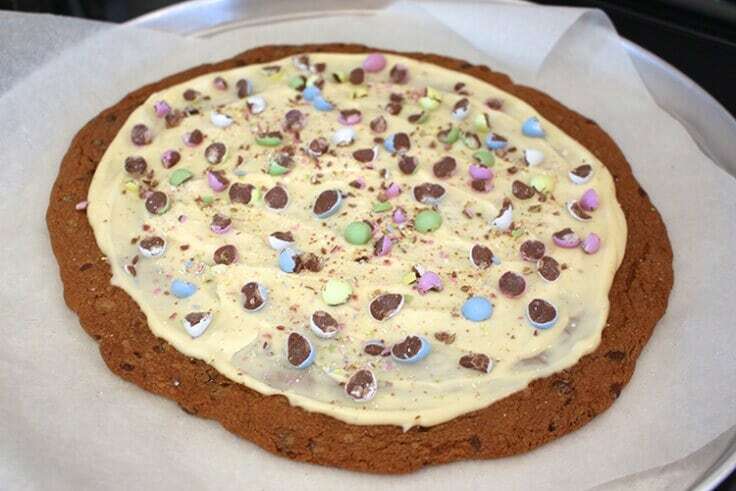 For a fun and colourful treat, make this easy Easter Egg Cookie Pizza. It’s a great quick last minute dessert and a fun activity to do with kids. Hi there! 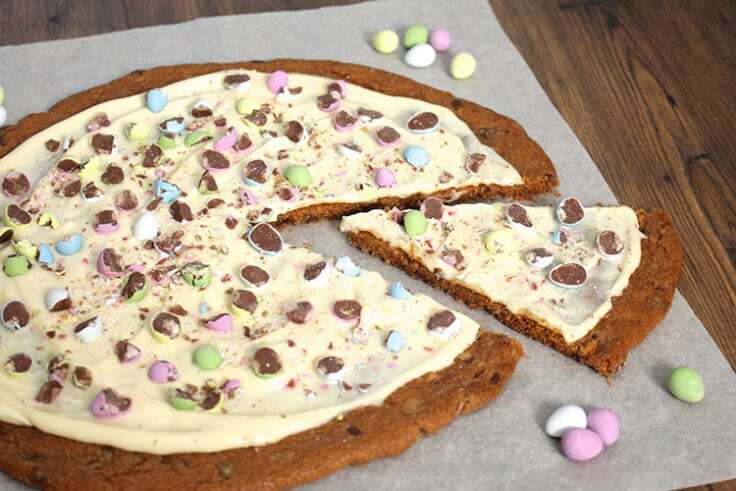 It’s Amanda from Life at Cloverhill here with a simple yet delicious Easter treat – an easy Easter Egg Cookie Pizza. 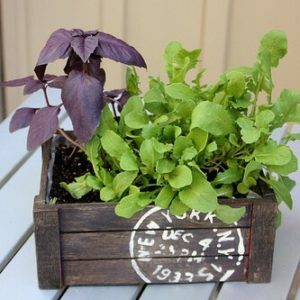 We’ve been busy over at our farmhouse with spring cleaning, prepping our flower beds for another season of fresh blooms and taking care of the sweetest little baby chicks. 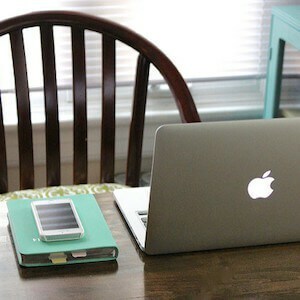 It’s hard to believe that it’s already Easter this weekend and I cannot wait to take a nice break to spend time with the family. It’s our daughter’s very first Easter and while she is too young for Easter egg hunts, I still put together a little basket of goodies for her. My favourite Easter treat has got to be those addictive little candy coated chocolate eggs. You know the ones I’m talking about. 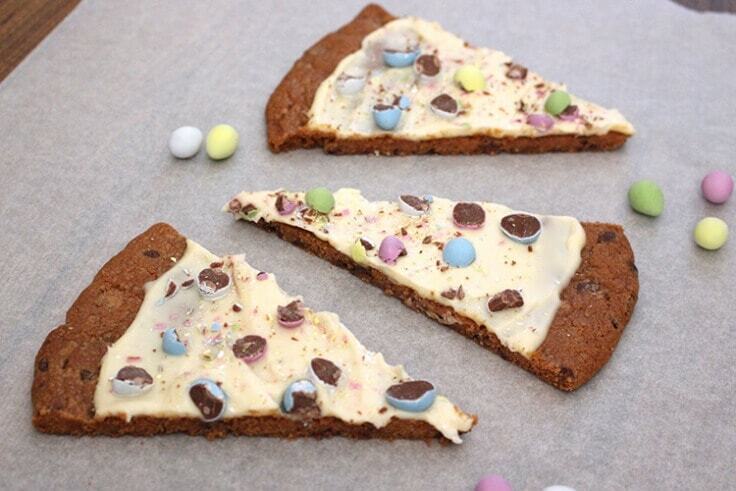 I just can’t resist them, which is why it only seemed right that I use them to create a colourful Easter Egg Cookie Pizza to share with some friends. 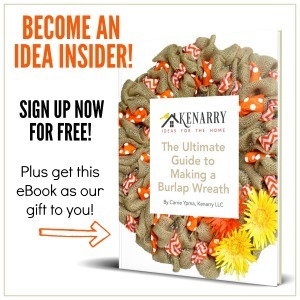 This is a fun recipe to make that only takes a handful of ingredients and is easy enough to get the kids involved too. Preheat oven to 350°F. Line a 12" pizza pan with parchment paper. Break up cookie dough into pieces and press into pan with lightly floured fingers. Bake for 15-20 minutes. Allow to cool completely, about 30 minutes. In a mixer, combine cream cheese, sugar and vanilla until smooth. 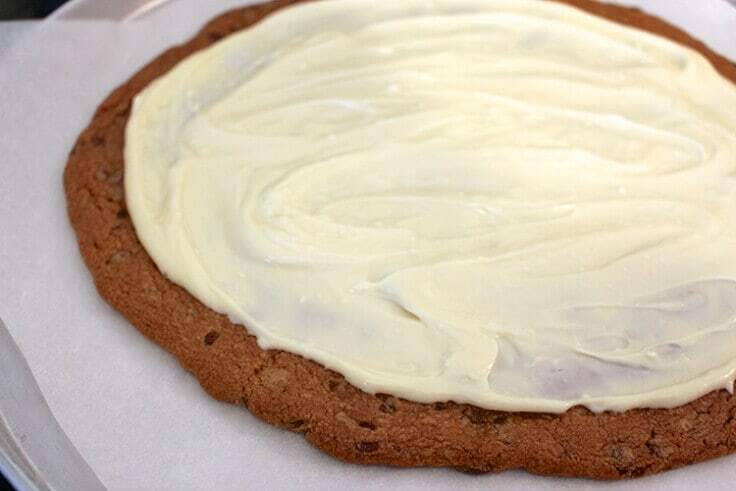 Spread over the cooled cookie. 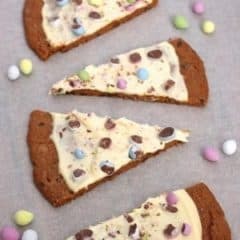 Sprinkle cookie with chopped chocolate candy Easter eggs. Use a pizza cutter or a sharp knife to cut slices. 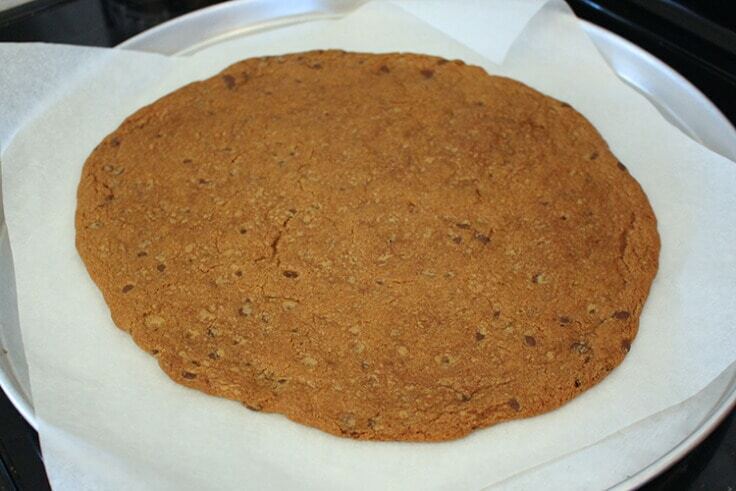 Have you ever seen a cookie this big? It was almost therapeutic to press out all the dough into a big pizza shape. 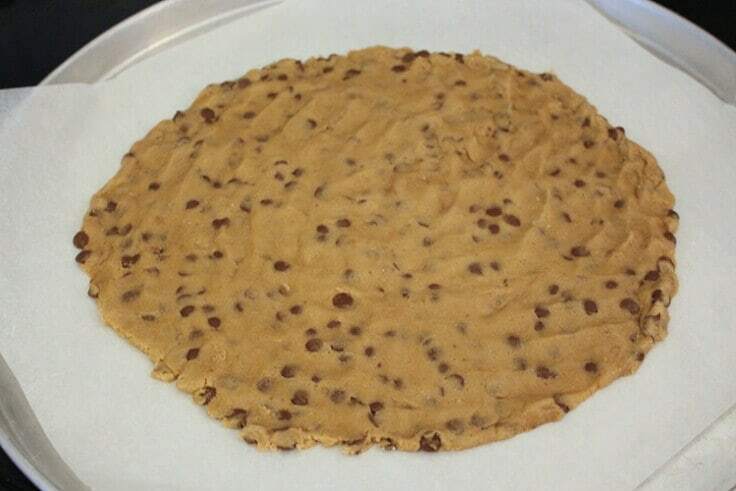 I didn’t have a 12″ pizza pan so I used my mega pizza pan with a sheet of parchment paper for easy cleanup. The cookie came out perfectly golden…and it took all my willpower not to give it a bite. 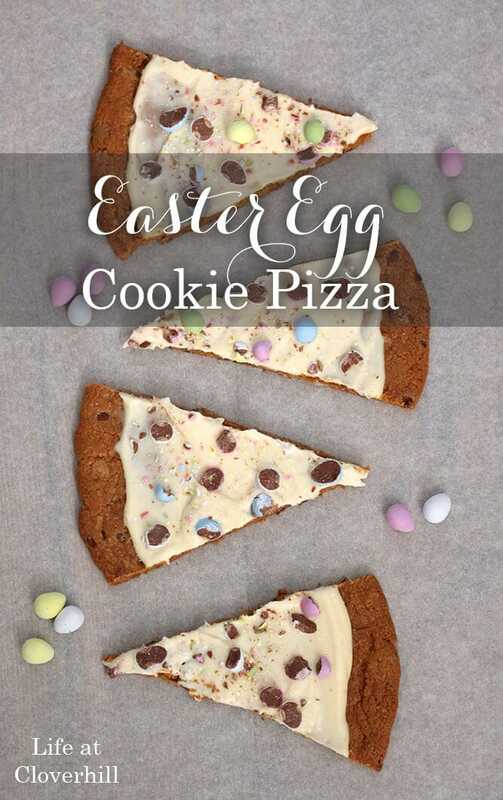 A smooth layer of cream cheese frosting gives it some extra sweetness and makes it easier to keep the chocolate eggs on top. I tossed the chocolate eggs into a freezer bag and gave them a few good whacks with a rolling pin. 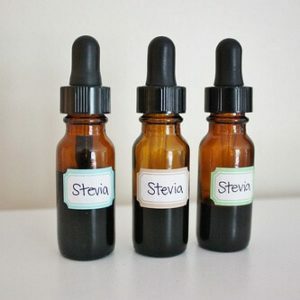 Makes a great dessert topping, and helps relieve a little stress while you’re at it.